Happy thirsty Thursday everyone! So because I am feeling rather saucy today, or rather I would like to get a little saucy, I decided to feature my all time favorite cocktail as our drink of the week. Now you may be thinking, what would Amber’s favorite cocktail be, obviously something fancy, a little sassy and all around elegant, and you would be right. For those of you who don’t know me, the answer is Gin and Tonic. No I am not a 60-year-old man smoking a pipe in a tweed jacket with suede elbow patches, but I do enjoy this delicious drink, that actually comes with a fascinating history. 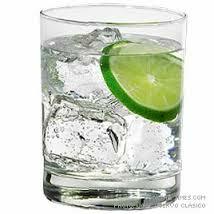 Gin and Tonics were first introduced by the British East India Company in India. Here many of the locals and soldiers were being plagued with Malaria, especially in the tropical regions, when they discovered that quinine (tonic) was a great preventative as well as treatment for the disease. Quinine at the time did not taste good, so in the 19th century British officers added a combination of sugar, water, lime and gin to make it taste better. Soldiers were given a ration of gin by the British Government so the drink only made sense. Today there is much less quinine in tonic so it is not a suitable treatment for Malaria, just incase some of you are hoping to forgo your Malaria shots for your next trip in hopes of just drinking the mosquitos away, its not a good option. Today’s tonic is much sweeter and like I mentioned above contains much less quinine than in the 1800s. Gin and tonics, for those of you who have not had them are made more to taste than with an actual recipe. Suggested options I found were 1:1 1:2 or 2:3. Personally I love the taste of Gin (shocking, I know) so I would say a 1:1 is about right or maybe even 2:1. But hey, that’s just me. For those of you still hoping to fight off Malaria on your next trip with an outrageous amount of G and T’s please give us a call at 920.236.7777. Or visit our website ambassadortravelltd.com to schedule an appointment. This week for our Thirsty Thursday blog we are hopping on a plane and landing in beautiful Italy. Here we will sample a drink known as Grappa, and learn about the history of it’s production. Let’s get right into it shall we, so much to drink, I mean learn, so much to learn. Grappa is a grape based brandy with an alcohol content between 35-60%. It is similar to wine in the fact that depending on the grape used to make it the flavor profile changes. It is made by distilling the skins, pulp, seeds and stems or the leftovers from wine making. Grappa, like many other European alcohols, is now regulated by the European Union if it is to be called Grappa. What that means is to be called Grappa it needs to be produced in Italy, the Italian part of Switzerland or San Marino. It has to be produced from pomace (the leftovers from winemaking) and the fermentation and distillation must occur on the pomace with no added water. It’s history, like many other alcohols, is confusing and disputed. Some sources trace Grappa back to the 1st century A.D. There is a legend that Egyptians distilled it in the 2nd century in a town in Italy called Bassano del Grappa. Although historians claim the technology was not available at that time to be able to do such a process. Jumping forward a few hundred years to the 1300s and 1400s water as a coolant was created allowing for a correct distillation process. This process was actually used until about 50 years ago, when technology caught up with the distilleries and new more advanced ways were now used. Good morning and happy thirsty Thursday everyone! Today’s featured drink has been dubbed by Liquor.com as, “The quintessential British Summertime drink….” So although summer is almost over, it doesn’t mean we can’t savor it a bit longer with this refreshing British Beverage. Pimm’s cup, is made with liquor produced by the Pimm’s company. Let’s look back at the history to fully understand where this great drink comes from. First produced in 1823 by James Pimm, the most popular product then and still today is the Pimm’s No. 1. Throughout it’s history there have been Pimm’s Nos. 1-6. But, we’ll get into that in a minute. The Pimm family owned an Oyster bar in, that would later become franchised, in London. Here a drink of tonic, gin and various herbs and other liqueurs was served to aid digestion, much like a digestiv or after dinner drink of today. The drink was served in a cup similar to a German stein known as a No. 1 cup, hence the name. Pimm’s No. 1 Cup began distribution commercially in 1859. Over the years Pimm’s Nos. 2-6 were introduced using various other liquors. The company was sold to dominate beer distributor Guinness in the 80s and finally to it’s current owner Diageo in 1997. Diageo is the number one British liquor, wine and beer distributor. They own other huge brand names such as: Crown Royal, Tanqueray, Seagrams and much much more. Throughout its almost 200 year history Pimm’s has gone through a variety of changes. The most through their different No. Cups. The most recent addition to the Pimm’s brand has been a transformation of their Pimms No. 3 Cup. Although Pimm’s No. 3 is out of production, there has been a new spin on it called Pimm’s Winter Cup. It is available seasonally and contains Brandy with a variety of spies and orange peels. Here is a list of the other Cups that have been part of the legacy of Pimms. Interested in trying the famous Pimm’s No. 1 Cup cocktail? This is what you need: Pimm’s No. 1 (this is the gin based one), sprite or ginger ale, cucumber slices, muddled strawberries, lemon slices and mint. Mix all together for a deliciously refreshing summer drink! It’s almost that time again, fall is just around the corner and you know what that means–Pumpkin Spice Latte, or PSL for the people in the know. Yes this over commercialized beverage has become a social media star and a true icon for our society and the millennial generation and you know why? Because even as much as I hate to admit it, this drink is delicious. I am a true pumpkin lover of course, who doesn’t love fall? But I wouldn’t write about this drink if I didn’t at least sample 1 or maybe several each fall season. So let’s learn a little bit more about it’s history and rise to the top. PSL’s are a combination of cinnamon, nutmeg, cloves, steamed milk, and espresso. Place in Starbucks cup and top with whipped cream and pumpkin pie spice and you have just created one of the most iconic drinks ever poured into a cardboard cup. But where did this legendary beverage come from? It turns out Starbucks started developing this drink back in January of 2003. They were looking to expand their seasonal drinks and tested out a range of new flavors. Although their pumpkin spice mixture did not fall at the top of the list, they decided to stick with it because, at the time, there was nothing else on the market like it. After several months of development they decided to test the final recipe (which by the way didn’t include any pumpkin) in the fall of 2003. Their test markets were Vancouver and Washington D.C. Because the drink exceeded they expectations, out performing their classic holiday drink like peppermint mocha and eggnog latte they decided to go full steam ahead (puns intended). From 2003-2015 their have been over 200 million PSLs sold, bringing in over $80 million a year. Their was a significant spike of 234% from 2008 until 2012 as popularity continued to grow. The latest change came to the drink just last year when after an outcry from the people Starbucks added actual pumpkin to their drink recipe. So now you know a little bit about this famous, or rather infamous drink. I may be dreaming about one right now and can potentially see a Starbucks from my window, so now I will leave you to dream about them too. Want to travel to the original Starbucks location in Seattle, Washington? Time to give us a call here at Ambassador Travel! It’s Thirsty Thursday everyone!! That means the weekend is right around the corner. Get through the next few days by sipping on our featured drink of the week the Mai Tai. One thing this drink does is put you in the mood for a tropical vacation. Some of the best Mai Tai’s I’ve ever had were in the Bahamas and every time I sip one it brings me back to paradise. Let learn a little bit about this vacation style beverage. A Mai Tai is made with white rum, dark rum, orange curaçao, Orgeat syrup and lime juice. They are typically garnished with a pineapple or a tropical flower. Shake your drink with ice and pour over ice for a refreshing cocktail that will transport you and your tastebuds to white sand beaches and crystal clear skies. The Mai Tai is claimed to be invented by two rival restaurants in L.A. Trader Vic’s owned by Victor Bergeron claimed to have made the drink in 1944. Vic had friends visiting from Tahiti so he created this cocktail. One of the friends yelled out “very good” in Tahitian, which in the native tongue translates to Mai Tai. The rival restaurant who stakes their claim to fame is Don the Beachcomber restaurant. This tinsel town eatery claimed to have invented the drink in 1933, 11 years before Vic and his Tahitian friends. Reports claim that the Mai Tai’s from both restaurants taste so different that you may not even know they are the same drink. Officially there are 11 different ways to make a Mai Tai, so the argument will still persist. Welcome to Thirsty Thursday, today we are featuring the Pina Colada. Most of us have enjoyed this delicious umbrella drink, but do we know anything about its history? If not, then keep reading; if so I guess go make yourself a Pina Colada and wait until tomorrow’s blog post. Pina Colada is Spanish for strained pineapple, which comes from one the drink’s main ingredients. Other ingredients include white rum and coconut cream. It has been the national drink of Puerto Rico since 1978 and the people of the island celebrate national Pina Colada day every year on July 10th. Like many popular drinks the Pina Colada has a history that is debated and still to this day a definite rivalry. The two main accounts of where the drink was first made come from a dispute between two bartenders. The first, Ramon Marrero Perez, claims to have made the delicious drink first at the Caribe Hilton Hotel’s Beachcomber Bar in San Juan in 1954. Another Ramon tells a different story though; Ramon Portas Mingot says he created the drink in 1963 at the Barrachina Restaurant in Old San Juan. And regardless of which account you believe you can still visit both locations to sample what claims to be the original Pina Colada. Happy August 2nd everyone, or as us here on the Thirsty Thursday blog call it, National Creme de Menthe day! That’s right, today is a day to enjoy this minty drink, whether you prefer grasshoppers or sipping on the digestif on its own. But before we begin the celebration let’s learn a little bit more about the drink, and shockingly, unlike most of our alcohols featured on the Thirsty Thursday blog, it’s past is in no way disputed. Maybe it was just mint to be (ok i’ll stop). Let’s travel all the way back to 1885 France. Here a young distribution pharmacist, Emile Gifford is hard at work learning the digestive effects of mint. Gifford starts to distribute his creation to patrons of the Grand Hotel in Angers and it so well receive it becomes something that is later mast distributed. Creme de Menthe is French for mint cream. It is made with dried peppermint or Corsican mint leaves soaking in grain alcohol for several weeks. It is filtered and sugar is added. The green color comes from the soaking of the leaves for several weeks. Today you can find it both with it’s original green color and a clear version, both taste similar. Creme de Menthe can be served alone as a digestif or in mixed drinks like a grasshopper. It is used in cooking as well for things like mint chocolates. One fun fact about this beverage is that it is the traditional final alcoholic drink served to mobsters before going off to serve time in jail. So before you hit the big house get yourself a shot of Creme de Menthe. Now that you know the history, you can go out and enjoy National Creme de Menthe day!